Having trouble coming up with fun and interesting self-care ideas? 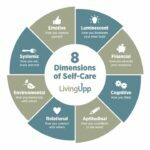 Scroll through the list of 366 self-care activities below and spruce up your self-care practice. Last year, I took on a self-care challenge. For each of the 366 days of the 2016 leap year, I experimented with a new self-care activity and then blogged about it. What would you add to the list? Be creative and come up with your own bucket list of activities that reflect your personal style, needs and priorities. Start developing a healthy lifestyle now! Start Here. Ready to redesign your life? Start here.